Who can qualify in Texas for a sales tax exemption on utilities? A Texas manufacturer or an industrial processor can qualify for a sales tax exemption on utilities if the predominate usage requirement for the utility sales tax exemption is met. In Texas, an electric meter, or natural gas, and water can qualify for exempt purchases of any or all of these utilities. How can one obtain the sales tax exemption on utilities in Texas? A Texas company must file the special utility sales tax exemption form 01-339 with the utility company. When the certificate meets is verified that all the requirements are met, Texas sales tax is immediately eliminated from the utility bill. Does the State require that an Exemption Certificate be completed by a professional utility engineer? The State of Texas requires that the predominate usage study (explained below) be completed and certified by a licensed engineer. On Your Mark has such engineers on staff. What is the ‘predominate usage’ requirement? 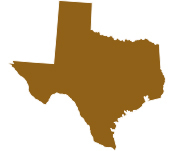 In Texas a predominate usage study must accompany the utility sales tax exemption certificate for it to be valid. Predominate usage requires that more than 50% of the consumption of any electric, gas, or water meter is used for direct production of tangible personal property. The predominate usage study must include a list broken into two categories, and that it include the information listed below. List of every piece of production equipment on a specific meter in which the equipment physically changes the nature of the product. The annual consumption in KWH, ccf’s, or gallons must be stated for each piece of equipment. The equipment listed must conform to the definition of production as written in the Texas Tax Code, and conform to the Administrative interpretations. List all items consuming the utility on the specific meter which is not used in direct production. The annual consumption of each piece of equipment and items must also be included. For example, this list needs to include every light bulb and its annual KWH consumption. What is the scope of work of a Professional providing the Utility sales tax exemption work in Texas? Predominate Usage Study: On Your Mark performs the predominate usage study – as qualified engineers are on staff. The study is completed, and filed on behalf of the company by On Your Mark. Claim back sales tax paid on exempt meter: An exempt utility meter may qualify for a refund of sales tax paid on an exempt meter. In Texas, this time period can be up to 48 months and is in the scope of work. Minimize time and frustration: Most companies do not have finance or engineering personnel experienced in filing the Texas utility exemption requirements. Time and frustration is eliminated by having this contracting work done outside. Risk-free Method to Obtain the Utility Sales Tax Exemption – in the shortest amount of time: On Your Mark provides the predominate usage evaluation at no charge. The company is only charged a fee after savings are obtained. So no savings, no fees. On Your Mark typically has the Texas Sales Tax Exemption Certificate on Utilities filed within 30 days of authorization to proceed. Start the process now; have it completed in 30 days. Contact Mark Winski today!